My daughter and I love DIY projects. 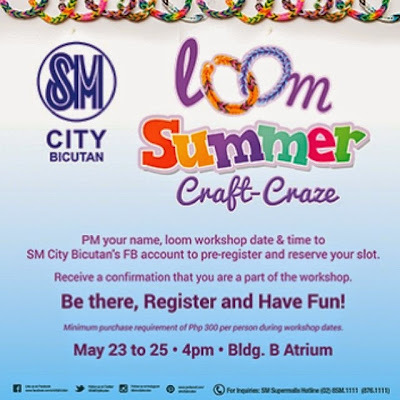 We have seen a lot of people going into loom bracelets recently and so we were excited to try it out for ourselves at SM City Bicutan’s Loom Summer Craft-Craze activity. As beginners, we were excited choosing which rubber band colors to put together on the loom. 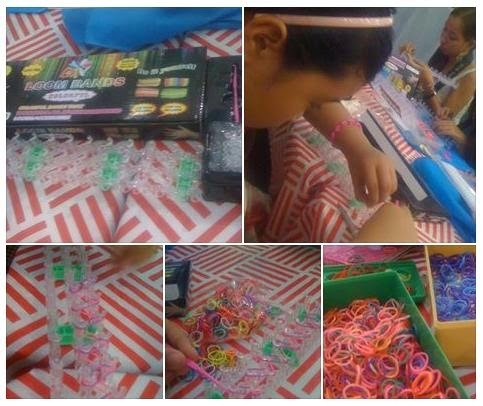 The single bracelet loom was the easiest one to do. The fishtail loom was a little harder as it requires finer motor skills to hook the bands together. We congratulated ourselves as it only took one attempt to get the hang of it. Visualization helps in making the right combination of colors and pretty patterns in a loom art. We tried tackling something new by mixing in more color patterns this time and created this colorful fishtail bracelet pattern without a problem. 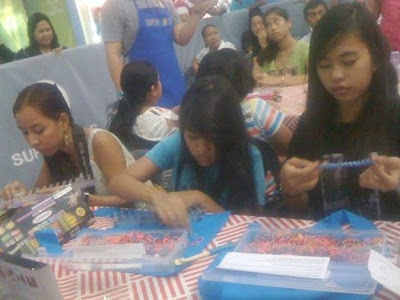 Looming is a good way to develop your child’s creativity. Create team bracelets as giveaways or make ones to coordinate with your outfits! Get your wild side on and have fun at Bicutan! 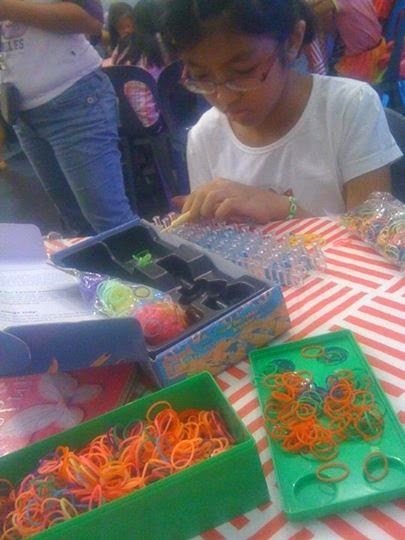 Don't miss out on learning loom bracelets craft! Register and reserve a slot for a fun-filled afternoon! Visit www.facebook.com/smcitybicutan for more details.